Hooking up with friend Tom Echle. It’s great as he has a mate who is going help fix the dinghy that has a leak I have been unable to fix. I read you have a leak somewhere in your boat. Try looking at the teak cap rail. I found when the boat is heeling and seawater is on the deck water gets under the teak rail and finds a way in….might need to be caulked…just i thought…..Enjoy! love the pics. i ran into al at lake breeze marina the other day and he told me about your website and your adventures i am now following you on your voyage .just think you are doing what a lot of us sailors just dream of . how much longer will you stay in bvi and what are your plans if any for now?fair winds and by the way merry christmas . sorry for being tardy on website. About to leave KIngston, Jamaica for San Blas Islands Jamaica. Happy Holidays! 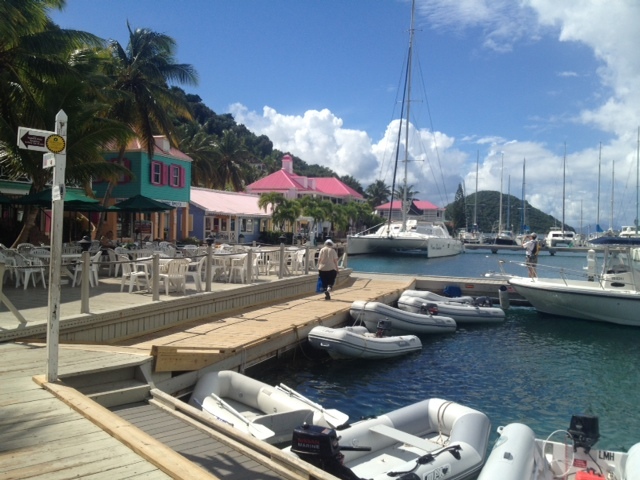 How long will you be in BVI? Where is the next leg of your journey? Beautiful blue water . . .